London is a magnificent city, with numerous things to do and see. You have to discover its magic at least once in your life. This tour provides the opportunity to experience some of it. 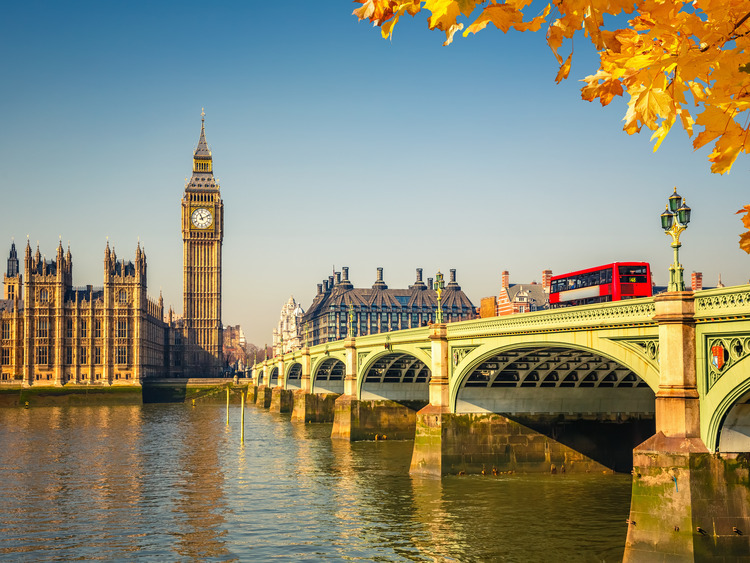 We make our way to the centre of London by coach and remain on board for a panoramic tour of the city, which takes us past the capital's most important landmarks. We will head for Parliament Square where we have the opportunity to take photographs of the surrounding landmarks, which include Westminster Abbey – where all the kings and queens of England were crowned – and the Palace of Westminster also known as the Houses of Parliament, seat of the two chambers of the Parliament of the United Kingdom. We will head to Buckingham Palace, official residence of the British Monarchy and centre of royal affairs and setting for many official ceremonies. We pause outside the palace to immortalise the wonderful view in a photograph. The next stop on our tour is near to the Tower of London, the prison where various illustrious figures from history have been detained, and even executed, and the famous Tower Bridge, which links the two banks of the River Thames and dominates many a photo of the city. We also enjoy some free time to eat and the chance to do a little shopping at Covent Garden or Westminster or Tower of London. The coach journey from the port to the centre of London takes around 2 hours each way. A guide is not provided for the return journey to the port.